HARROGATE has become known all over the world for its ideal combination of town and country. Its marvellous waters, its famous baths and its bracing moorland air make it easily first among British tourist resorts, and it is rapidly becoming a serious competitor with the Continental spas. Its best days are ahead. Large numbers of Leeds and Bradford merchants now reside in it, and an increasing number of people of all classes find it a congenial spot in the eventide of life. The wonder is that thousands of Primitive Methodists do not find their way to it in the season for rest and change, for, with care, a holiday can be enjoyed as economically as in almost any tourist town within these islands. But my readers will imagine, if I continue on this line of writing, that I am the paid advertising agent of the Harrogate Corporation. I make no attempt to disguise my enthusiastic admiration of the town for the tourist and the invalid. But the limits of space on this page and in the time of the reader compel concentration on the main purpose of the article. Harrogate Station is the child of Knaresborough Circuit and began its independent existence at the Conference of 1875. It began its career with slender resources in money and men. At the September Quarterly Meeting, eighty-seven members were reported for the two preaching places, Harrogate and Bilton, and there was an income of £21. The minister received for the quarter the magnificent sum of £15, which, it should be added, was increased to £19 at the December meeting. But this brave band of eighty-seven members, who were all working people, set themselves in earnest to make a strong cause in the town, and they were encouraged in their efforts by the generous and unstinted service of the Rev. 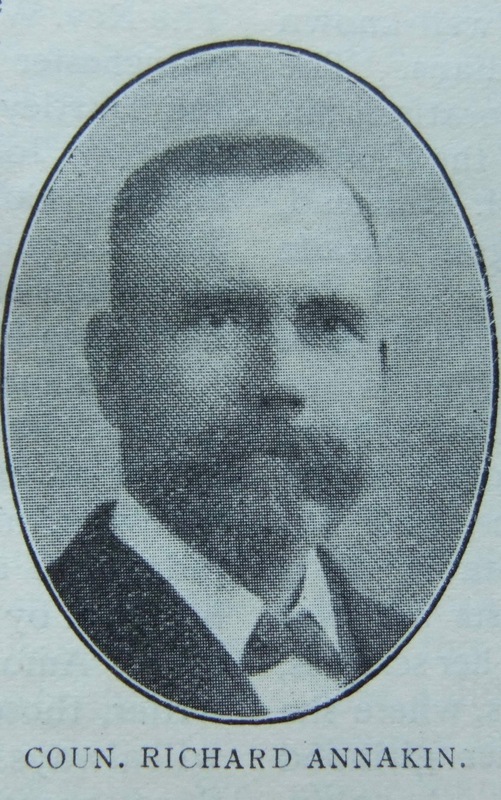 John Hedley, who was a superannuated minister. It was a great triumph of faith and audacity when the church in Mount Parade was erected. In view of the period and the financial resources there have been few finer proofs of denominational enterprise, and the growing success of this daring project fully justified the wisdom of its promoters. But it was felt that if the Circuit was to grow a policy of extenslon must be adopted, and, during the ministry of the Rev. H. Cooke, a piece of land was bought at Starbeck. Mr. Cooke’s name in this station is as ointment poured forth. The survivors of those early days still speak of him in the most glowing terms. The same spirit of trustful audacity, which was manifested in the Harrogate building scheme, was revealed at Starbeck, for they had only £10 in hand to complete the land purchase. A chapel was soon built. Some who yet remain to tell the story say that it was built in faith and paid for in repentance. At that time, a saw-mill, belonging to the Chippindale family, provided employment for nearly the whole of the members and congregation. The Chippindales did a great deal for this cause. Mr. Amos Chippindale and his brother Arthur have been identified with the place from the beginning, while James, a United Methodist, and now an Alderman of the Borough of Harrogate, has been a trustee. This family rendered useful service to the infant cause. But disaster overtook this promising church. The saw-mill was burnt down, and the members were compelled to remove owing to lack of employment. There was a debt of £600 on the property, and the congregation was gone. The years which followed were eventful; but, amid struggles bravely encountered, there was a plentiful supply of faith, gumption and humour. Indeed, Harrogate Station has always been famous for the abundance of this last characteristic. But the grim nature of the struggle may be illustrated by the fact, that the total amount raised at one Quarterly Meeting to meet the liabilities was £9. The story of a famous missionary meeting is often told. It was held at Starbeck. The congregation was small, and the collection amounted to 7½ d. On the way home, the resident minister said to the missionary deputation, “I say, mister, you and I don’t seem to be very popular here.” The crisis at this place, at last became so acute that the parent church was compelled to face the situation. So uncertain was the financial position, that they could only borrow £600 at the rate of 6% per annum. A writ was served on each trustee for the amount. Messrs. Robert Annakin, C. Smithurst and J. Mountain met at the house of the former to discuss the state of affairs. Unwritten chapters of quaint humour gather round the story of the room in which they met to formulate a policy. They decided on a begging expedition. They were in earnest. The cause was very dear to them. 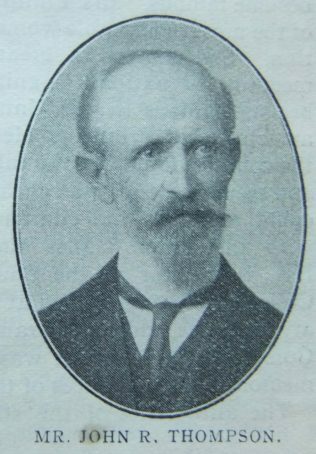 Mr. Annakin had been one of the first superintendents in the Sunday school, and Mr. Smithurst had taken over the management of the choir. They arranged the duties of each man. Mr. Annakin was set aside to exercise faith, the Rev. ——– was expected to pray, and Mr. Smithurst was the spokesman. Numerous stories are told of their financial visits to possible homes of help. At the home of Mrs. Cutts they were gladly received. 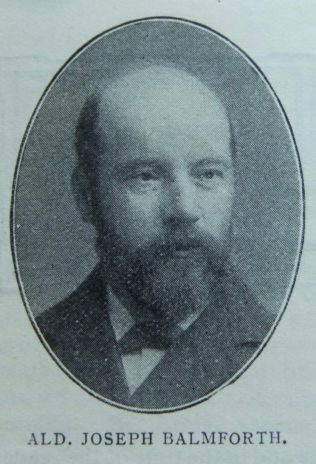 The interview was so successful, that a note for £5, which had been sealed to send to Dr. Barnardo’s Homes, was given to an appealing deputation. 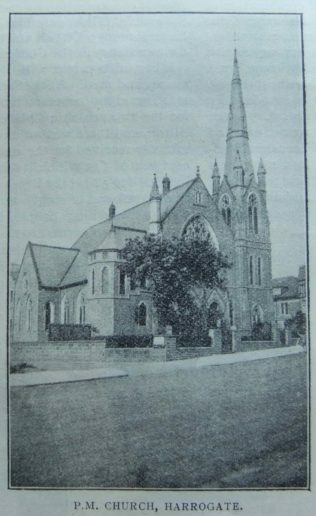 In 1902, a Sunday school was built, and there is now a block of property of the value of £1,300, and the whole of the money has been raised. £250 has been paid off the debt during the last three years. There is a fine front site of land beside the present buildings, on which it is proposed to erect a new church as soon as funds will allow. The membership of the church is ninety-five. But the great achievement of the station is the erection of the beautiful Gothic structure in Dragon Parade. It is one of the finest pieces of ecclesiastical architecture in the town and denomination. The erection of this church was made possible by the generosity of two men. 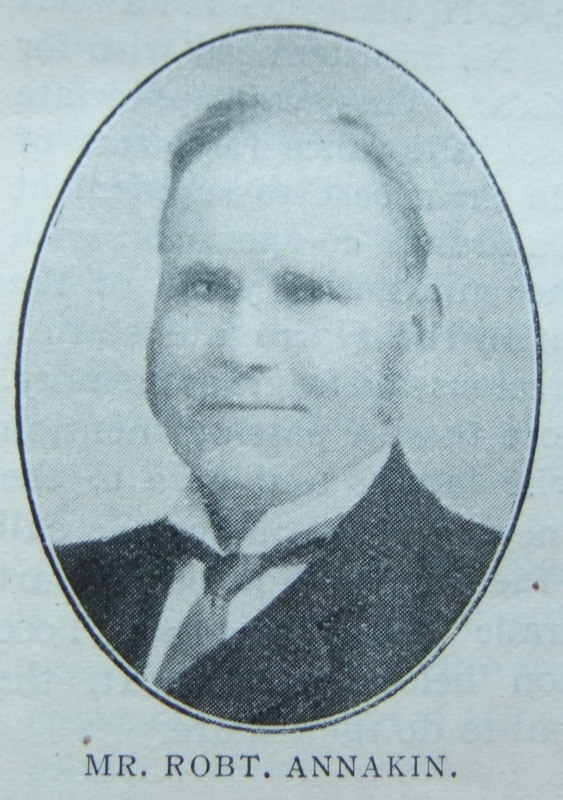 Alderman James Chippendale sold the land at the very moderate sum of £1,200, and Mr. Amos Chippendale gave the trustees £5000 for the church property in Mount Parade. The new church property was erected in 1900 at a cost of £8,467, and is now valued at £9,500. It consists of church, school, lecture hall, vestries and caretaker’s house. Many of the promoters of this enterprise were men in public life. There were five Town Councillors and five members of the Board of Guardians. What names occur as one thinks of the devotion and labours of this Church! The late Councillor W. Annakin was a giant in many respects, generous, beloved, devoted. He was greatly missed. Then the names of Mr. Amos Chippendale, Mr. Robert Annakin, Alderman J. Shepherd, the Junior Circuit Steward and Church Treasurer, Councillor Richard Annakin, one of the ablest musical conductors in the denomination, Mr. C. Smithurst and Mr. Auton occur instantly to one’s mind. The families of some of these men give promise of great denominational usefulness. 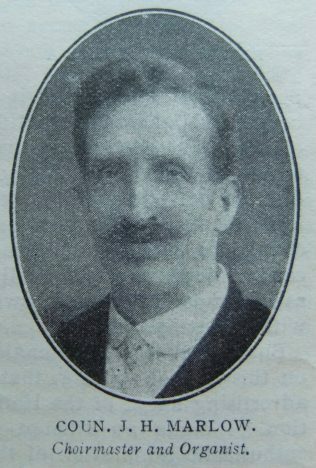 The Society stewards are Mr. J.R. Roberts and Mr. J.R. Thompson, who was for many years a successful local preacher in York. The Senior Circuit steward is Alderman J. Balmforth, who joined the Church eight years ago, during the ministry of Rev. J.T. Barkby. The choirmaster is Councillor J.H. Marlow. The station holds a very good position in public and scholastic life. There are at present two Aldermen, J. Balmforth and J. Shepherd, and two Councillors, Richard Annakin and J.H. Marlow. Mr. A. E. Thoseby, M.A., is the Head Master of the Harrogate Secondary School, and is the son of the late Rev. Mr. Thoseby, of saintly memory. Mr. Robert Annakin was for many years a well-known member of the Board of Guardians. The Surveyor of the Harrogate Corporation, Mr. W.J. 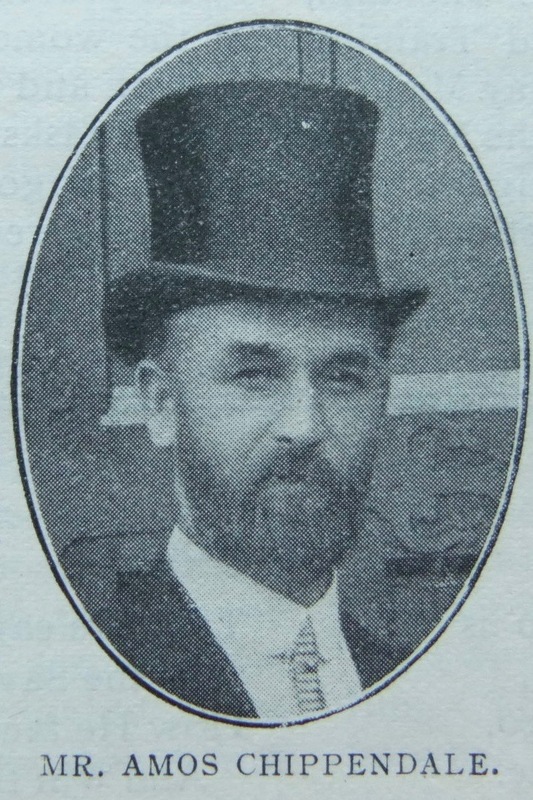 Thorpe, and the Surveyor of the Knaresborough Rural Council, Mr. J.H. Halstead, are both members of the Dragon Parade Church. The children of some of these men have become famous. Mrs. Philip Snowden, is one of the most remarkable women of this generation. She is now in great demand at all meetings of national significance, and has become famous in the United States. It is amazing that Primitive Methodists all over the country do not see the value of her services, and secure her for great gatherings, where she could represent the church of her girlhood with distinction. Miss Mabel L. Annakin, B.A. is a tutor in the Southland Training College. She has spoken at the May Missionary Meetings, and her utterance at the Norwich Conference in June last was among the most memorable deliverances of the meetings. The authorities of the station still retain the spirit of enterprise, for two years ago an extension scheme was carried out in Grove Park View, Harrogate. The land and buildings cost about £1,100, of which one-half has been raised. The cause continues to prosper. There are forty members and over 100 scholars, and in the Dragon Parade Church there are 226 members and about 200 scholars. Three years ago an important step was taken in the calling out of a probationer. The Rev. 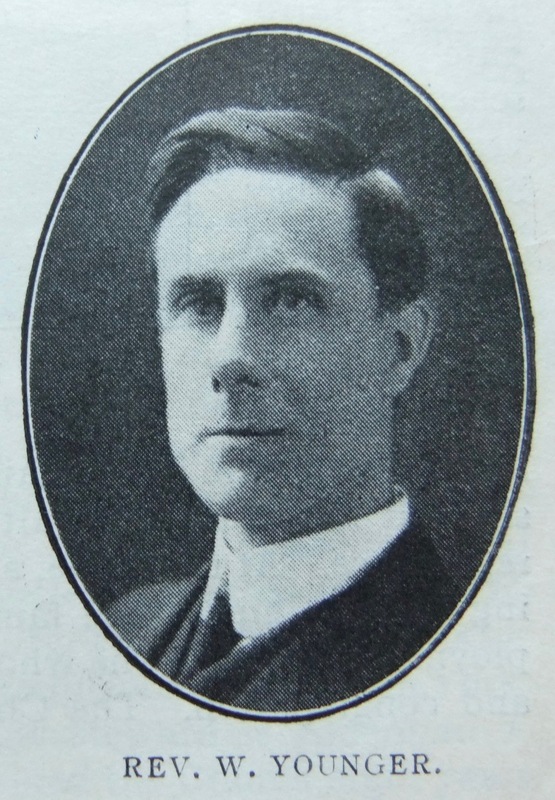 W. Howarth, B.A., a graduate of the Manchester University, and also a student of the Hartley College, was appointed. The Rev. 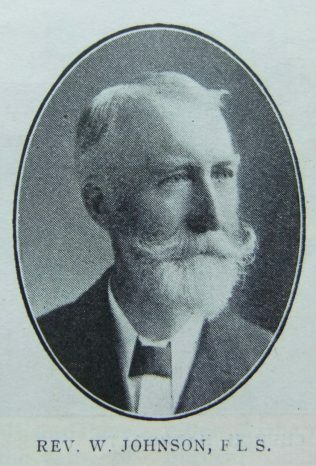 W. Johnson, F.L.S.. ex-Principal of the Hartley College, now resides in the town. The Circuit has been favoured with a succession of brilliant ministers, among whom have been Revs. H. Cooke, H.B. Kendall, B.A., J. 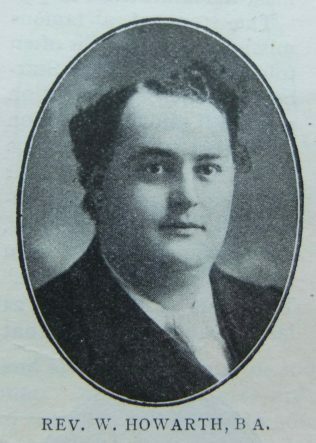 Day Thompson, G.H. Beeley, G.F. Fawcett and J. T. Barkby. No minister need wish for a finer set of officials. They will appreciate his work, make due allowance for errors of judgment, and do their best to supplement his work by loyal and sane co-operation with him. Among the ministerial years of the writer, those spent in the Harrogate station will always be a precious and fragrant memory. Space prevents more than a passing mention of the women, who labour and give to the utmost, and who never fail to answer the call to new tasks. In the present effort on the part of the Dragon Parade Church, to raise £1,000 for debt reduction before April next, the women will not fail to do their share. For more about the Annakin, Chippindale and Shepherd families, follow links above, and see Amazing Annakins of ‘Arrogate. The Harrogate People & Places website contains the following bit of information regarding Dragon Parade Primitive Methodist Church in Harrogate (see picture above).